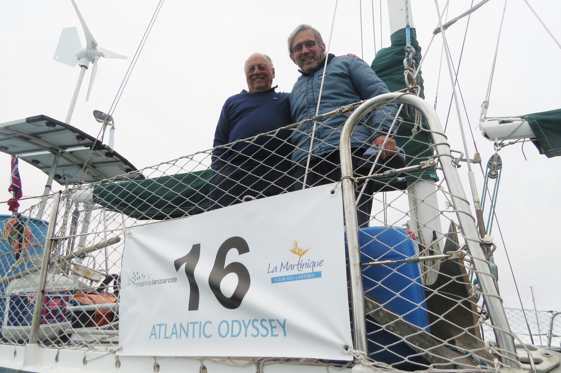 Despite the decisions by the captains of both Suilven and Aventura to turn back east and not attempt the Northwest Passage, the Blue Planet Odyssey’s mission in the Arctic has been handed on to Michael Thurston of the Australian yacht Drina, who took part in the Atlantic Odyssey last year. Although in many parts of the Northwest Passage the sea ice melted earlier than normal, the crucial middle section remained iced up by the middle of August. Both John Andrews of Suilven and Jimmy Cornell of Aventura made their reluctant decision to turn back due to concerns about arriving very late in the Pacific. 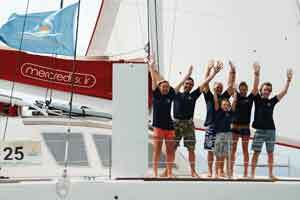 Other yachts planning to transit the Northwest Passage this summer have made the same decision. If the ice does open in the next week or so, some of the few yachts still waiting may only be able to transit at the end of August or early September. ‘If necessary, I am prepared to over-winter in Cambridge Bay,’ Michael Thurston said.